A double silver pendant inspirational necklace. 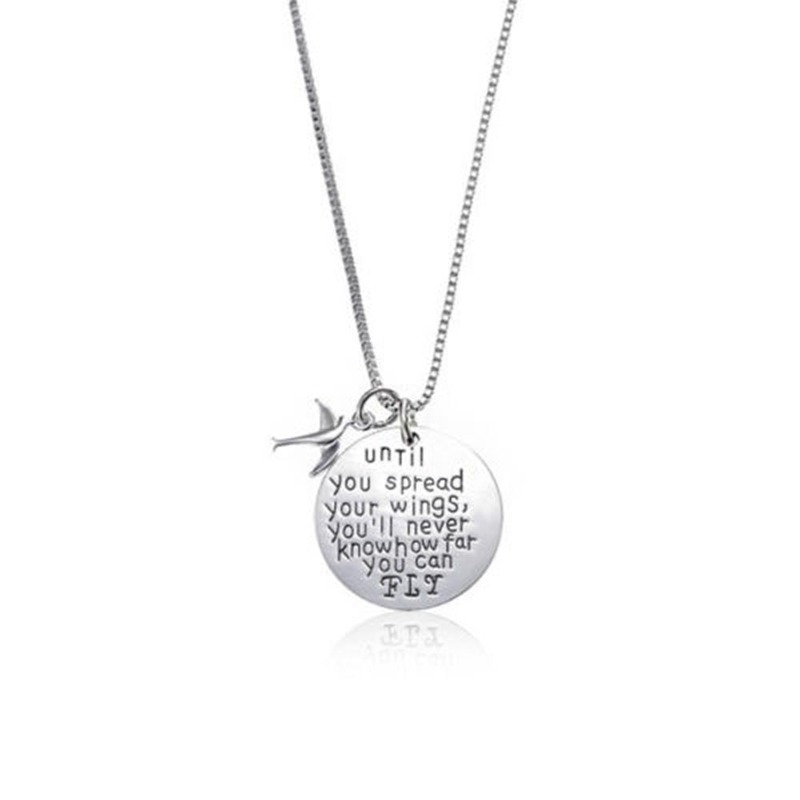 This stunning, inspirational, silver 'until you spread your wings' necklace is certainly an eye catcher. It is extremely motivational and contains a great amount of detail. The silver circle pendant is engraved with 'Until you spread your wings, you'll never know how far you can fly' followed by a bird pendant.